It's funny because a lot of jeeps have been brought back to life or are a concept vehicle now. 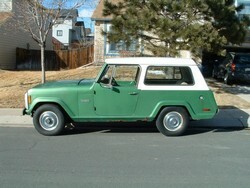 I personally think the new jeep commander was brought back to replace the old commando. Sometimes you just can not replace what is lost, but Jeep Parts new or used will definitely help.